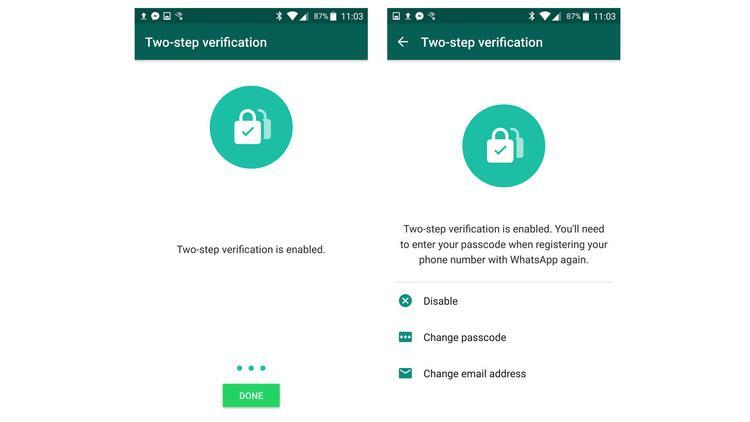 A two-step authentication security feature is available on WhatsApp for iOS and Android. In just a few minutes you can make your account even more secure. We show you how to set up this and keep hackers at bay. Keeping your communication apps secure is an increasingly difficult task these days, thanks mainly to the various scams and hacks that have been taking place. One strong defence against identity thieves is adding two-factor authentication which requires your phone and a security code. Google, Apple, Twitter, Paypal, Yahoo and others already offer this service and WhatsApp is the latest to join the club. It’s an easy way to ensure your messages remain private, and one we recommend setting it up immediately. Just follow the simple steps in this tutorial and you’ll have your account locked up tight in only a few minutes. Traditionally the way you would secure an account is to have a password. While this is OK, it’s not that difficult for hackers to overcome this particular method, as the numerous email hacks that get reported in the news prove. Companies such as LastPass offer more robust password generation and protection, which is certainly worth exploring, but a quick and easy fix is two-factor authentication. As the name suggests there are two elements to the process. Usually this involves entering your password as normal and then receiving a text message to your phone which includes a passcode that you’ll also need to enter. It might seem cumbersome at first, but the extra step makes a huge difference to the level of protection on your account. 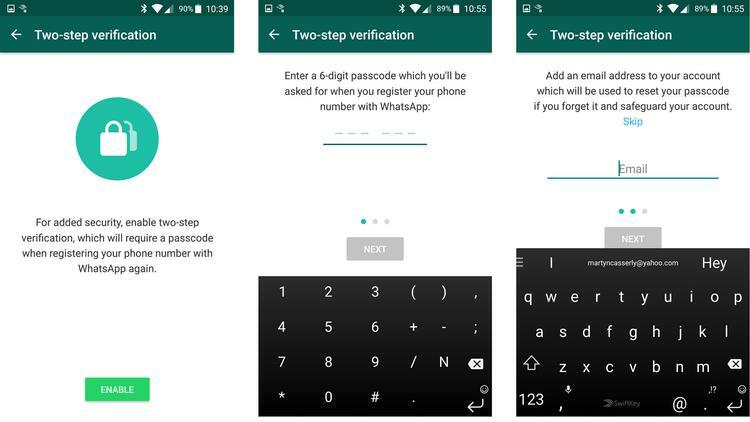 Enabling two-factor authentication on WhatsApp is very easy. First of all check that you’re running the latest version of the app. You can do this by going to the Google Play store or Apple App store and see if there are any updates pending. 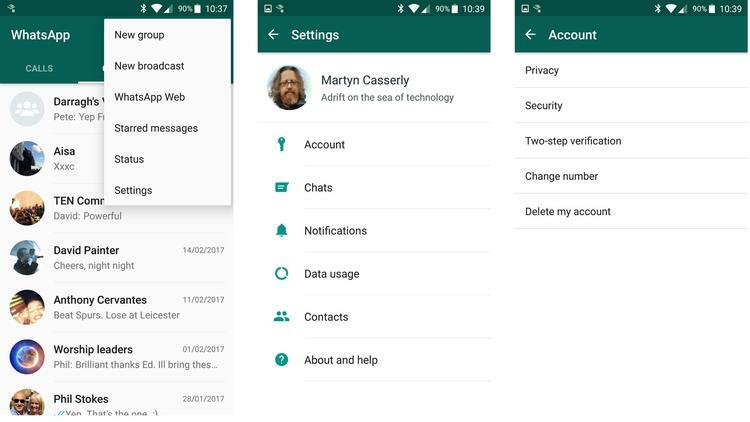 If you’re running an Android phone then you’ll need to launch WhatsApp then tap the three dot in the top right hand corner. This opens a menu from which you need to select Settings followed by Account>Two-step verification>Enable. For iPhone users it’s a very similar process. Open WhatsApp then select Settings>Account>Two-Step verification>Enable. Next you’ll be asked to enter a six-digit passcode, then confirm it by entering the number again. It’s very important that you remember this number as it is essentially your new password. You’ll then be prompted to enter an email address. WhatsApp will use this to send you a link that you can use to disable the Two-Step authentication if you ever lose or forget your passcode. This of course is an area where hackers could try to gain access to your account, so WhatsApp points out that unless you’ve directly requested an email to disable your account (or received the one from the initial setup), then you should on no account click on any links in emails that you might be sent, as these could be fake. That’s it. You’re all set up and secure. Now when you want to use WhatsApp you’ll need to enter the passcode number. It takes a little getting used to, but security has its costs. Those few extra seconds might seem a drawback now, but losing control of your account can be an almighty headache, so we think it’s worth the trade-off. If you decide that two-factor authentication isn’t for you then you can always turn the feature off by going back to the app and selecting Settings>Account>Two Step verification, then choosing the Disable option. With your account secure you’re now free to enjoy the app in private. 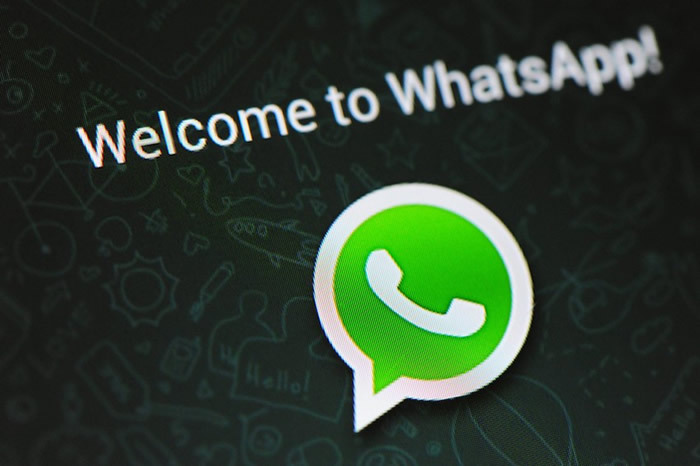 While you’re at it you could also take a look at our 10 best WhatsApp tips and tricks to get even more from the service.